Oven-Roasted Tomatoes | What's To Eat Today? Today was a cool, mostly gray day here in the Rose City making it perfect for running the oven. I filled the house with the wonderful aroma of oven-roasted tomatoes and onions with garlic and a medley of Italian herbs. I planned to serve this over angel hair. 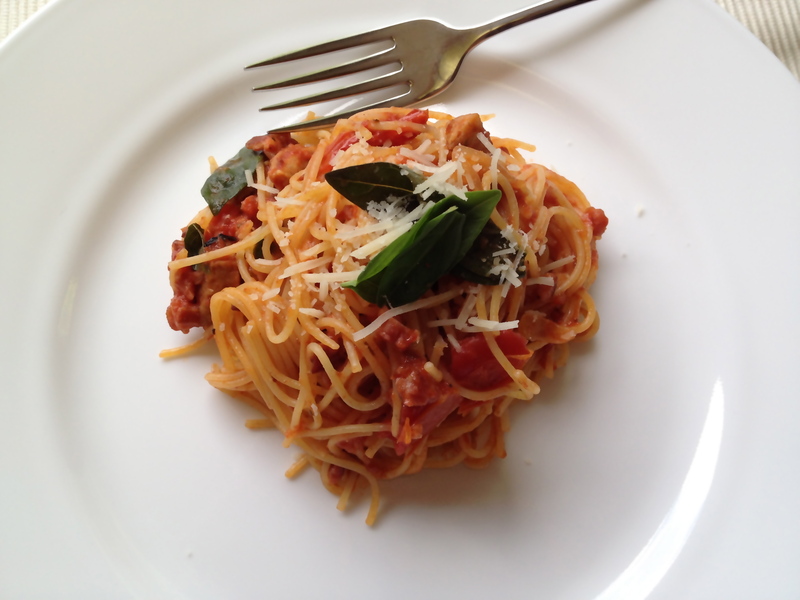 You can use any kind of tomato you prefer and we like plum tomatoes. Cut the tomatoes in half and remove seeds. 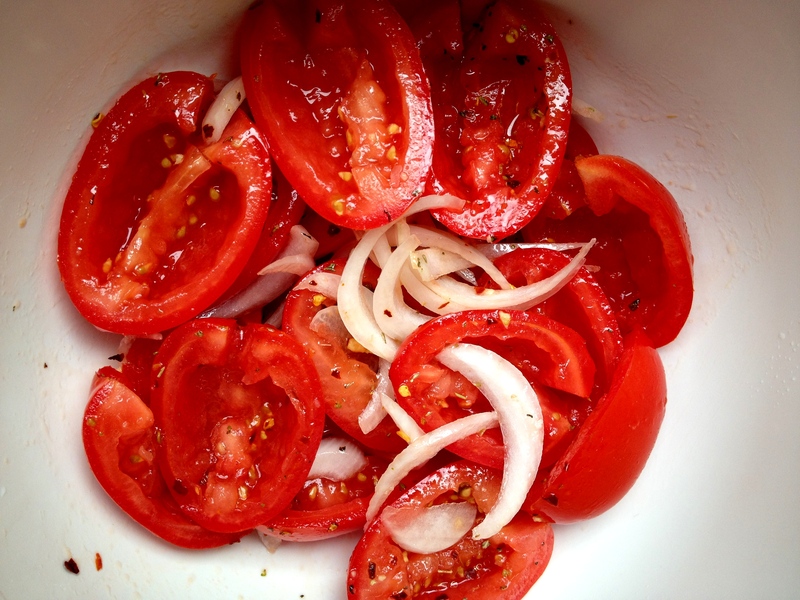 Place in a bowl and mix in enough olive oil to coat the tomatoes. Add garlic, Italian seasoning, red pepper flakes, black pepper, and sea salt. Toss until tomatoes are well coated. 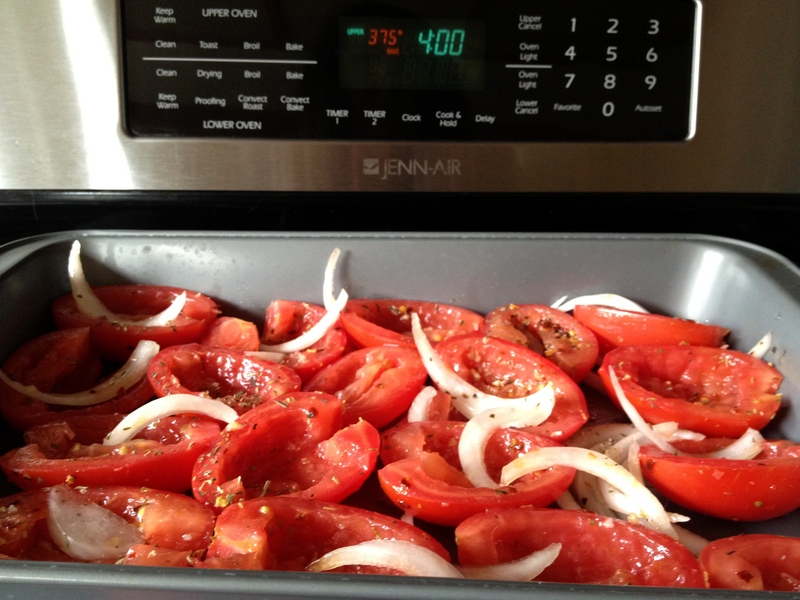 Spread the tomatoes cut side up in a baking pan. Roast until the tomatoes are tender, about 45 minutes. In a skillet over medium high heat, brown the Tuscan sausage and diced prosciutto. Add the oven-roasted tomatoes to the skillet and toss. Bring a pot of salted water to boil and add the angel hair pasta and cooking until al dente, approximately 4 minutes. Add drained pasta to skillet along with some of the pasta water, tomato paste and a splash of olive oil. Add the fresh basil. Give it a good toss and heat for an additional minute.